You have seen me recommending InMotion Hosting. Many of my articles describe InMotion Hosting. I decided to write InMotion Hosting review. In this web hosting review, I would describe you my reasons why I recommend InMotion Hosting and why you should choose it. I spent hours to write this review. I hope you would love to read it. InMotion Hosting is the one of the top 10 web hosting providers. They started in 2001, and now they are the best business class web hosting provider. InMotion Hosting has received countless awards for providing a good service. InMotion is the Certified CNET Hosting Provider since 2003. They are having their own Data Centers in Los Angeles, CA and Virginia Beach, VA. Their offices are just like a home for developers – friendly! I have been with InMotion since 2015. Previously, I was with a free web hosting service but changing to InMotion made my blog skyrocket. Here the key features of InMotion Hosting. Due to these features, their customers love them! They are giving 1 free domain with every web hosting plan. It does not matter which plan you’re choosing, you will get a domain name free for 1 year. So, you will save your $14.99! One more thing, if you don’t get the domain name during checkout then it will be a credit to your account. So, you can use your free domain credit later. It means you can get your free domain name even after checkout. Free domain is only for the extensions .COM, .ORG, .NET, .INFO, .BIZ and .US. Already registered a domain? Don’t worry, if you’re having a domain with another registrar then you can use your free domain credit to get your domain transferred to InMotion Hosting. Customer Support is the key feature or backbone of a web hosting. Customer Support indicates how much a web hosting is serious and responsible. Whenever you have a problem regards your hosting, then you can their support department to solve your problem. If they solve your problems at the time of your need then you are with a good web hosting. Well, there are many more types or customer care methods. I can’t discuss all of them. InMotion Hosting is giving 24/7 US-Based support with every of its web hosting plans. So, that whenever you would have any problem, they will at your service. They have received many awards for their awesome support and customer care. The first thing I love about InMotion Web Hosting is their customer support. If you’re having any type of question then you can contact them even before ordering the hosting. 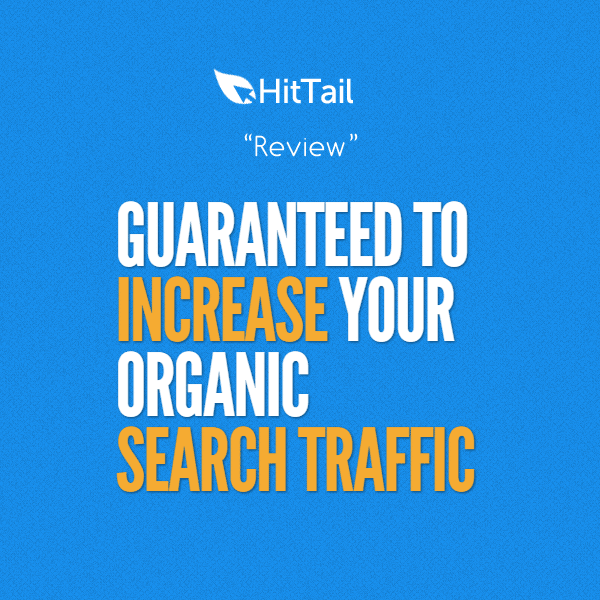 If you search on the internet then every website is giving them five stars review for their support. Yes! They have received several awards and mentioned for their human-friendly support. This is the thing that makes a trust between you and a web hosting. Often people asks “What if the web hosting will not give me good service?” and many more questions like that. Well, money guarantee is the thing that you can use to get your money back whenever your hosting disappoints you. InMotion is offering 90 days money back guarantee. So, within 90 days you can decide whether to stay with InMotion Hosting or not. 90 days is not a short period. Within 90 days you have the ability to get your money back. There are only a few web hostings which are offering 90 days money back guarantee. 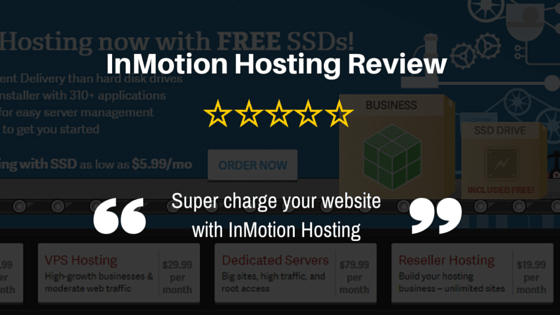 I recommends, give InMotion Hosting a try. If you don’t like their service then contact them and they will return your money. I can bet, you can’t find any reason to leave InMotion Hosting. Their service is really good. Data backups are must-have for every website or blog. Suppose, after a sudden accident your data is lost then what you would do? Obviously, use the backup but if you don’t have the backup. So, that’s the point. Data backups are really important. Now, the problem is there are many web hostings which are charging for providing a backup. InMotion Hositng is giving free data backups with every plan. Data backups are free for upto 10 GB. Do you know the interesting thing? They create a backup of your data every 24-36 hours. If you’re with InMotion Hosting, then data backups is not an issue for you. Your data is secure and safe every time. Yeah! InMotion Hosting is giving free data backups. SSDs (Solid-State Drives) are faster than spinning hard disks. So, with SSDs, the content is dilevered faster and quickly to the visitor. Solid State Dives (SSDs) are 20 times faster than spinning hard disk drives. SSDs are one of the reasons behind the performance of InMotion Hosting. Infact, there are only a few web hostings which are giving SSDs. Some are charging extra for that. InMotion Hosting is giving SSDs free with shared hosting and VPS plans. SSDs affect the speed of the web hosting. If you want your site to load faster than you should go with an SSDs hosting. InMotion Hosting is giving free SSDs with every plan. It does not matter which plan do you choose, you will get SSD web hosting. WordPress created a big competition in the web hosting world. Now, everyone is trying to have a blog/website on WordPress. Since WordPress is so much demanded, so, a WordPress friendly web hosting is also required. If you want to create your WordPress blog, then your hosting should bee optimized for WordPress. BoldGrid is a website builder powered by WordPress. BoldGrid is built to create eye-catching WordPress websites by just drag-and-drop. The special thing of BoldGrid is that it is created for beginners to easily create websites without any problem. BoldGrid has pre-made templates and content to start your site. It is perfect for designers to create their designs by just doing what they see. Coding knowledge is not required while using BoldGrid. After a comparison of BoldGrid with other website builders, BoldGrid defeated many famous website builders. Now, you’re thinking every web hosting is comfortable for BoldGird? No! Let me answer this. Technician available to help you. I have written a complete BoldGrid review and a guide to Install BoldGrid. Read these guides before using BoldGrid. I have mentioned so many times that InMotion’s support is really friendly. Do you know why I am highlighting support every time? Reason is that customer support helps you every time if you’re in a trouble. If customer support is not good (not helping you), then what you would do? Luckily, I am with InMotion Hosting, and their support department helped me every time. I have contacted them several times whenever I had problems. Every time I contacted them, they helped me. I would tell you 2 of my stories when I contacted InMotion Hosting for help. In fact, I contacted them several times but today, I would share only two of them. I usually use the Live Chat method because it is very quick and easy. Once I was doing some experiments with the .HTACCESS file. I accidently did a big mistake. My site suddenly went down and I was shocked. I was thinking what to do and how to do. I deleted the file and thinking to create again but can’t do that. I thought my hosting provider should also help me as I am their customer. I started a live chat call. The agent connected to me and asked me for account confirmation. I provided my AMP password to confirm. After 2 minutes, He asked me “How can I assist you?”. I described him about my problem. He said me to wait for 5-10 minutes. I was waiting there. After about 8-10 minutes, he said that site is up now. I opened the URL in my browser, and everything was fine. He repaired the file and corrected the error for me. I thanked him and rated his service as good. Okay! It’s time for the second story. Right? When I was writing this InMotion review, I was thinking that I should personally test them and do test how much they are responsive. I started another live chat and an agent named “Betinna A” connected. I asked the agent some questions related to domain names. The response was really quick and fast. I got reply of every query in seconds. I ended second chat and thanked the agent. So, that was mine experience with InMotion Hosting support. I never saw any hard working support team ever. Well, I know everyone hates downtime. When your website is down, you’re losing customers every time. Even a single second downtime can cause a big loss. Downtime can also affect ranking and SEO of your website. To avoid downtime, you should be with a good web hosting. InMotion Hosting guarantees 99.9% uptime for your site. Well, there are many companies/people in the world who are tracking the uptime of web hostings every second. Every person who tracked their uptime reported that InMotion has average 99.9% uptime. Do you know the real reason why I choose InMotion Hosting for my blog? There are many people who will be saying “Support” some will think “Freebies” but the real reason is a little bit different. I would tell you the real reason why I shifted to InMotion Hosting from my previous web hosting. My journey with InMotion Hosting started in August 2015. Before August, I was with a free web hosting. And you know the disadvantages of free web hostings. In starting that free web hosting was good but later on, my site was receiving down time. At that time, my blog was new and I was not having any problem with downtime. But, I noticed that I can’t get much visitors with this hosting. One day, my blog just went down and they suspnded my account. Thank God, I had the backup. I created an account on InMotion Hosting. My plan as Launch Plan. I just restored the backup, and my site was up again. So, the real reason was down time. On the previous web hosting, my site was just getting down every next day. Now, I am with InMotion Hosting and my site never experience any kind of downtime. After moving my blog to InMotion, my blog just skyrocketed. Now, from August 2015, I never experienced any unusual downtime. Well, there are many methods to measure the performance of a web hosting. InMotion Hosting is having its data centers in Los Angeles and Virginia Beach. They are having one of the fastest SSD hostings in the world. They have max speed zone enable. So, the content is served to the visitor faster than ever. Let’s do a speed test of InMotion Hosting. I used IsItDownRigtNow to test the server response of InMotion Hosting. InMotion’s speed is fast as compared to other web hostings. I used another tool called “Load Impact” to test the server response time of InMotion Hosting. Minimum server response is about 400-500ms. And maximum server response is around 600-700ms. And you know the interesting thing? InMotion Hosting doesn’t charge for SSDs and max speed zones. These are included for free in every web hosting plan. Well, this is a little bit eye-catching point. Now, I will do a little price comparison between the plans of InMotion Hosing and their competitors. This was the price comparison of InMotion’s shared web hosting plans. I am currently on Launch plan, but soon I would upgrade. If you’re just starting then, start with Launch plan and then upgrade later. The power plan is for more than two sites. And, the PRO plan is for developers and growing business. If you have only 1-2 site, then choose Launch plan because you don’t require many resources. While you want to have more than two websites then POWER plan is perfect for you. PRO plan is a little bit expensive, but it is giving unlimited resources. Newbies/Beginners should choose Launch plan. Small Business/Bloggers/Experts should choose Power plan. Growing Business/Geeks/Developers should choose Pro plan. Some people think that InMotion Hosting is expensive. I don’t think so. I think InMotion Hosting is giving its service at affordable rates. Okay! If you still think that InMotion Hosting is expensive then let’s do a little comparison of InMotion Hosting with HostGator and BlueHost. Here is a little price comparison of InMotion Hosting and it’s competitors. Now, you have seen I did a little comparison of InMotion Hosting with BlueHost and HostGator. The price of the web hosting is almost same, but InMotion is giving more features as compared to other two. I have written a complete post about InMotion Hosting vs. HostGator. You would love to read that. After the comparison, you also think that InMotion Hosting is affordable. Yeah! It’s affordable. I think you should focus on quality more than price. If quality is good, then the price is also reasonable, and web hosting deserves that price. According to me, InMotion Hosting is just giving its service at affordable rates. Well, I love to give bonuses when my readers love me. You have spent your precious time to read this review. I think you deserve a bonus. I have a great deal for you. You can get 6 months free on InMotion Hosting. Yeah! You will a big discount on InMotion Hosting. This is exclusive to you and my readers. We are using and recommending InMotion Hosting. if you would sign up with our link then you would get 6 months FREE of business class web hosting. This discount is a gift to Blogging House visitors. Thanks for spending your time to read this review. I have described every point why I love InMotion Hosting and why I recommend them. Well, now, I ask you to share your views in comments. I would love to hear your opinion. And also, grab your discount before it goes expired. Note: This review was honest and written by me. I am not getting paid for writing this. However, it contains some affiliate links. If you would buy from these links, then it will cost you nothing extra. I would receive a little commission from anything you purchase. Buy me a coffee! InMotion Hosting is the best web hosting provider. We’re using them for our several web projects and they never disappointed us. I highly recommend InMotion Hosting for every serious blogger. Thanks for the review. It is always good to have reviews about web hosts to know more about their services and reliability. This helps to choose the right host for my needs. Nice I Really Like Your Hard Work.